Need to clear a forested lot? BW Timber Harvesting can make sure it’s done safely and efficiently. Even the most perfectly-chosen, strategically-positioned chunk of real estate may be of no value to you as long as it is populated by standing trees that interfere with your intended residential construction, commercial development or municipal project (such as road widening). But clearing a forested lot to make way for new construction can present challenges of its own – from assessing the details of the operation to disposing of all the cleared timber efficiently and responsibly. 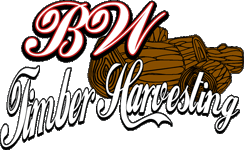 That’s when you need the expertise of BW Timber Harvesting for skilled, efficient land and lot clearing. BW Timber Harvesting’s 20 years of experience at clearing land for development ensures that you’re getting the most value for your cleared timber. We begin by performing a careful assessment of the current timber situation and how it impacts your goals and needs. Our Zero Waste approach employs mechanical harvesting techniques that use 100 percent of each tree harvested. At the same time, we take the greatest care to minimize any damage to the residual trees in the area. We leave your land or lot clean as a whistle and ready to develop. Our painstaking approach and insistence on total efficiency means you’ll get the maximum profit out of the timber we remove. Our commitment to your real estate doesn’t end with the removal of timber from your lot. We can also on request prepare a customized plan for helping you regenerate the area. From controlling competing vegetation post-harvest to encourage the growth of more desirable flora (including higher-grade “crop” trees), we’ll give you the roadmap you need toward the most effective use of your property. Contact us today to learn more and schedule an assessment. Have land with standing timber? We walk your land and provide a free quote for forest management, land clearing or standing timber value.